24-year-old Yash Paul lost his life after getting caught under heavy shelling and firing from the Pakistani side in Jammu and Kashmir's Sunderbani sector on March 21. Poonch: A soldier was killed in Jammu and Kashmir’s Poonch district on Sunday after Pakistan resorted to ceasefire violation. The firing took place along the Line of Control (LoC) in Shahpur area of the district, as per the officials. Army Jawan Hari Waker, a resident of Rajasthan was critically injured in the ceasefire violation last night. He was shifted to Army Hospital where he succumbed to his injuries later. 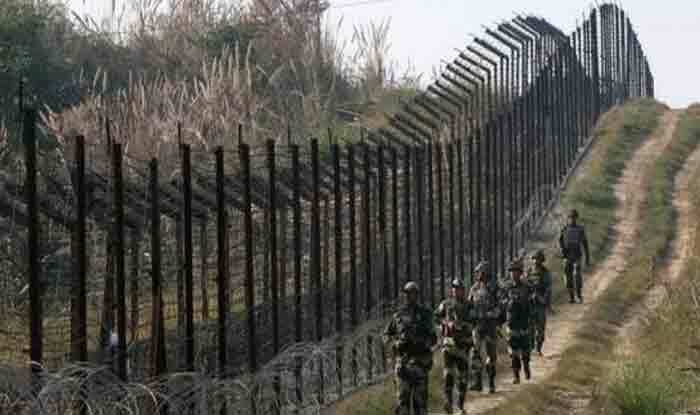 Another ceasefire violation by Pakistan along LoC in Nowshera sector took place at 11.50 AM on Sunday. The Indian Army also released a video of Pakistani base destroyed in Indian firing in Akhnoor sector. Army sources said that the upside down Pakistan flag is a signal for SOS (extreme danger/distress). On March 21, an Army rifleman was martyred in a ceasefire violation by Pakistan in Jammu and Kashmir’s Rajouri district. 24-year-old Yash Paul lost his life after getting caught under heavy shelling and firing from the Pakistani side in Sunderbani sector. The Pakistan army had initiated unprovoked ceasefire violation by resorting to shelling with mortar bombs and firing of small arms along the LoC in Akhnoor and Sunderbani sectors, a defence spokesman had said. Similarly, on March 18, a rifleman lost his life in the ceasefire violation by Pakistan in Keri Battal of Sunderbani sector along the Line of Control in Rajouri. Rifleman Karamjeet Singh was martyred in the firing, ANI had reported. After India’s pre-emptive air strike on a Jaish-e-Mohammed (JeM) terror camp in Balakot on February 26, there has been an increase in ceasefire violations. The strike followed the February 14 Pulwama terror attack in which 40 CRPF personnel were killed. The JeM had claimed responsibility for the attack.